We Drink Your Milkshake! : The Local Haps: Alamo Drafthouse Dallas Groundbreaking Screening! 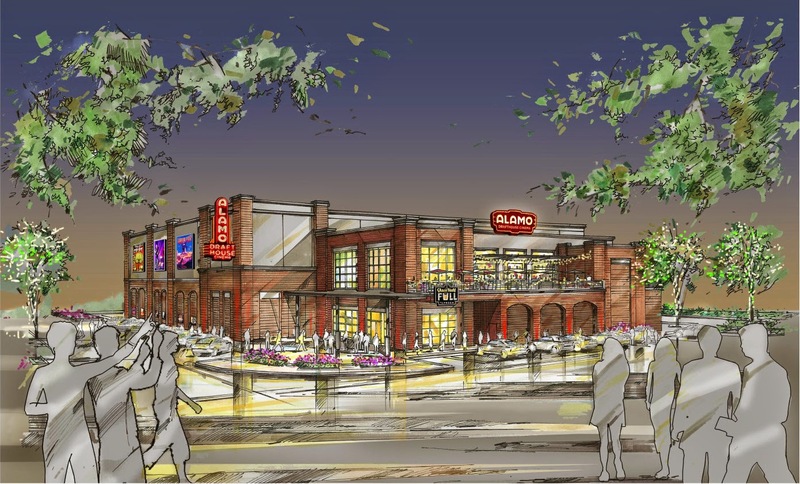 The Local Haps: Alamo Drafthouse Dallas Groundbreaking Screening! The only thing better than living 10 minutes driving distance from the Texas Theatre will be to live 10 minutes biking distance from a new Alamo Drafthouse. Despite the theater a year away, the folks at the Drafthouse want to maintain momentum until then. We just got word that there will be a rather unofficial groundbreaking ceremony that sounds like it will be a rad time. Check out the details after the break! Dallas – October 23, 2014—Alamo Drafthouse Cinema is please to invite you to the first celebration for the new Dallas location and a free outdoor screening of the John Hughes classic, FERRIS BUELLER’S DAY OFF. The event will take place on November 8 in the parking lot adjacent to Cedars Social, 1326 S. Lamar Street, Dallas, Texas; just down from the future home of Alamo Drafthouse Dallas. Gates open at 5:00 pm and the film rolls directly following the informal, non-ceremonial groundbreaking at sundown. (Really, it’s just an excuse to through a party and invite 1,000s of our closest fans!) Food Trucks will be on site, as will local beers from Dallas’ own Deep Ellum Brewing Company. Select wines will also be available. This event is BYOC (Bring Your Own Chair) and is friendly for both two-legged and four-legged kiddos. “We’re very excited to host this construction-kick-off party on Lamar Street. It’s a great chance for us to meet our new neighbors and for our fans to get familiar with the location of Alamo Dallas all while having a great time. These Rolling Roadshows always turn into a fantastic block party with a few thousand people, pets, families, great food trucks, local beer, and, of course, film. We can’t wait to be open in Dallas and our fans should expect more outdoor movie events this spring before we open,” said Bill DiGaetano COO/Owner Alamo Drafthouse Cinema DFW. Tim and Karrie League founded Alamo Drafthouse Cinema in 1997 as a single-screen mom-and-pop repertory theater in Austin. Seventeen years later, the now 18-location chain has been named “the best theater in America” by Entertainment Weekly and “the best theater in the world” by Wired.com. The Alamo Drafthouse Cinema has built a reputation as a movie lover’s oasis not only by combining food and drink service with the movie-going experience, but also introducing unique programming and high profile, star studded special events. Alamo Drafthouse Founder & CEO, Tim League, created Fantastic Fest, a world renowned film festival dubbed “The Geek Telluride” by Variety. Fantastic Fest showcases eight days of genre cinema from independents, international filmmakers and major Hollywood studios. The Alamo Drafthouse’s collectible art gallery, Mondo, offers breathtaking, original products featuring designs from world-famous artists based on licenses for popular TV and movie properties including Star Wars, Star Trek and the classic Universal Monsters. The Alamo Drafthouse Cinema is expanding its brand in new and exciting ways, including Drafthouse Films, which has garnered two Academy Award nominations in its short three-year existence and Badass Digest, an entertainment news blog curated by veteran journalist Devin Farachi. http://drafthouse.com/dfw.